1. Q: Are Epidural Steroid Injections as scary as they sound? A: No, Epidural Steroid Injections are not nearly as scary as they sound! Epidural Steroid Injections are non-surgical procedures performed in the office to provide relief for multiple pain conditions such as back pain, Herniated discs and Sciatica. If your doctor has recommended an Epidural Steroid Injection, your pain most likely, regardless of the cause, is severe enough to get in the way of your normal daily activities. Knowing that an in-office Epidural Steroid Injection can provide relief for this pain can be comforting in and of itself! Why should you suffer if you there are pain relief options? In addition, an experienced physician will walk you through the procedure, explain what to expect before and after an Epidural Steroid Injection and also explain realistically what results to expect. All of these things, and especially trusting the doctor you are working with and knowing that they are highly specialized in the field, should ease your normal worries! 2. Q: Should Epidural Steroid Injections be the first and last form of treatment for my pain? A: This is a tough question to answer, as every patient’s condition and pain is different than the next. Depending on the severity of your pain, your doctor may recommend an Epidural Steroid Injection after doing a full work up including diagnostic studies. Your doctor may recommend an Epidural Steroid Injection to provide relief for you to then be able to work with a team of Physical Therapists and Rehabilitation Specialists, to optimize your results and prevent the return of your pain. 3. Q: Does getting an Epidural Steroid Injection mean I will not need surgery? A: Epidural Steroid Injections are non-surgical procedures. The goal of most injections is to in fact, avoid surgery. While even the best physician cannot promise that your condition will not require surgery in the future, Epidural Steroid Injections are surely a step in the direction of avoiding surgery. 4. Q: What should I expect before, during and after my Epidural Steroid Injection procedure? A: On the day of your Epidural Steroid Injection, your doctor and their nurses may offer you intravenous sedation or a local anesthetic is applied to a region of the surrounding area being injected. Once you are comfortable, your doctor will use an x-ray guided needle to direct the injection into place. What is the actual Epidural Steroid Injection made of, you ask? 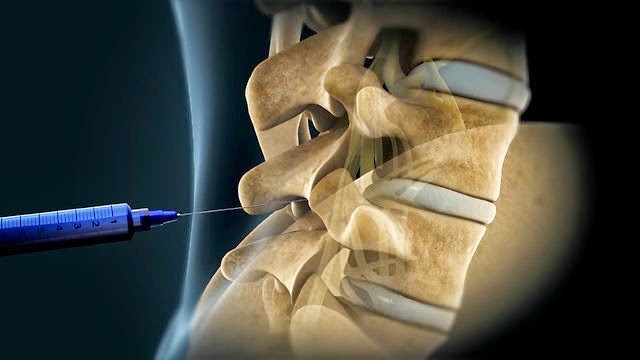 The epidural Steroid Injection is a combination of anesthetic and cortisone steroid solution, which is an anti-inflammatory to decrease inflammation of the nerves and decrease swelling, pressure and relieve pain. 5. Q: Are Epidural steroid injections the right procedure for me? A: Not necessarily, Epidural Steroid Injections are safe but may not be the appropriate treatment for you and your pain. Come and see one of our highly trained specialists at New York Pain Care who can diagnose and treat your condition to get you on the road to living a pain free life! Request an appointment now on ZocDoc or call us at 212-604-1300.
because Crazy Bulk only offers the largest range of products which are 100% legal and safe Anabolic steroids.